The central figure of the Lord God on his throne provides the light for this scene. The Lord God on his throne, with angels behind. 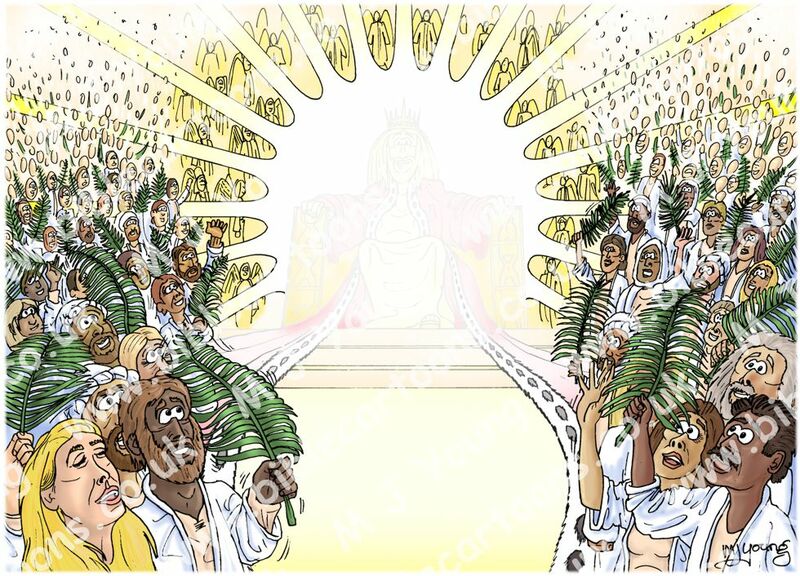 The great multitude of Christians waving palm branches , singing and worshipping the Lord God. A lady in North America asked me to produce this scene for her. 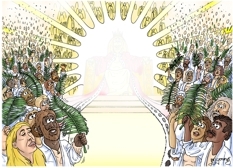 It shows “a great multitude that no-one could count, from every nation, tribe, people and language, standing before the throne…” The human figures are wearing white robes and waving palm branches. I was keen to demonstrate their differing nationality and ethnicity through skin and hair colour. 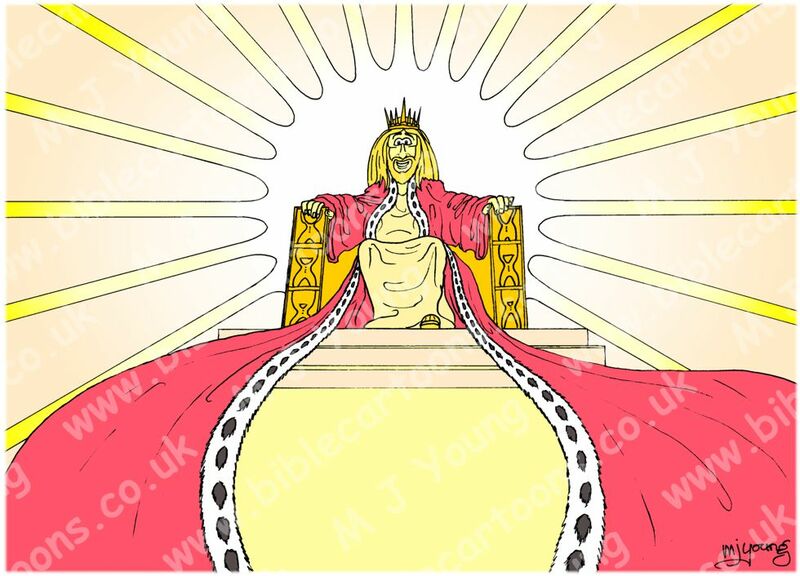 In my original version I also had people in national costume, underneath their white robes, including a variety of hats, beads, feathers, brightly coloured clothes, etc. The lady who commissioned this scene was keen on having simple white robes, which represent the crowds unity of purpose, so I agreed to dispense with the national costumes altogether. For those viewers who are curious to see what the central Lord God figure looks like here He is, without the obscuring white cloud/mist. No offence to anyone’s faith is intended by showing this.